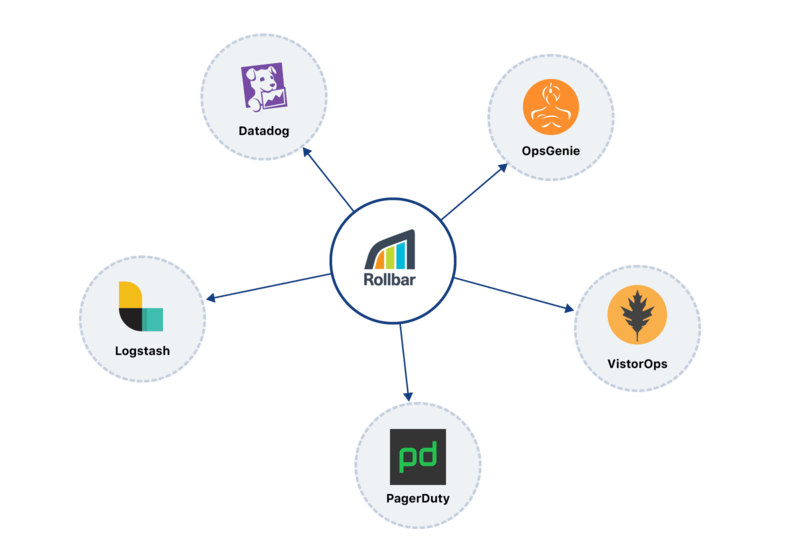 You can send Rollbar data to tools like Datadog and monitor errors alongside metrics. Conversely, you can send events from Logstash logs into your Rollbar feed. You may detect an issue in your app by monitoring New Relic, but are missing the data to understand why it occurs or resolve it. You can go to Rollbar to get that data and debug it quickly. 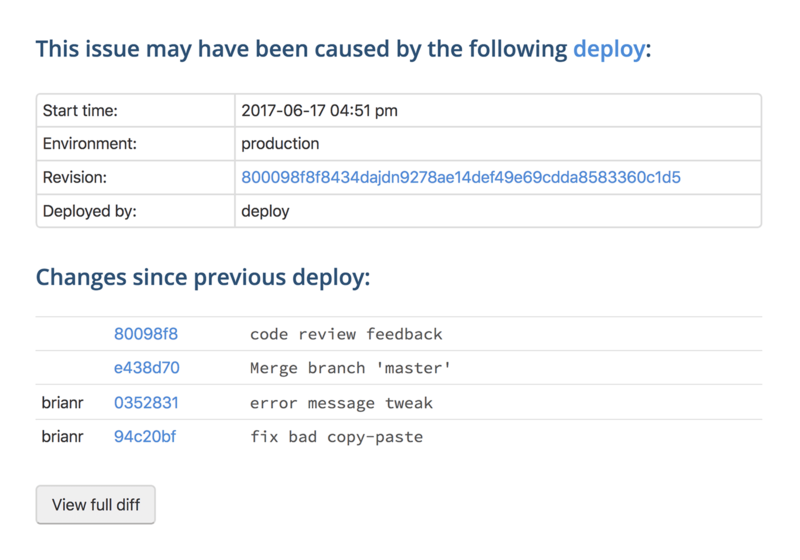 Rollbar automatically tries to identify which recent deploy may have caused an error, and gives you a list of commits so you can quickly view the diff in your source control tool such as GitHub or Bitbucket. Once you integrate such tools to Rollbar, you also get the links to “view source” on errors to go directly to the associated line in your source code. No matter what git workflows and rollout patterns you use, Rollbar can help you debug errors faster. 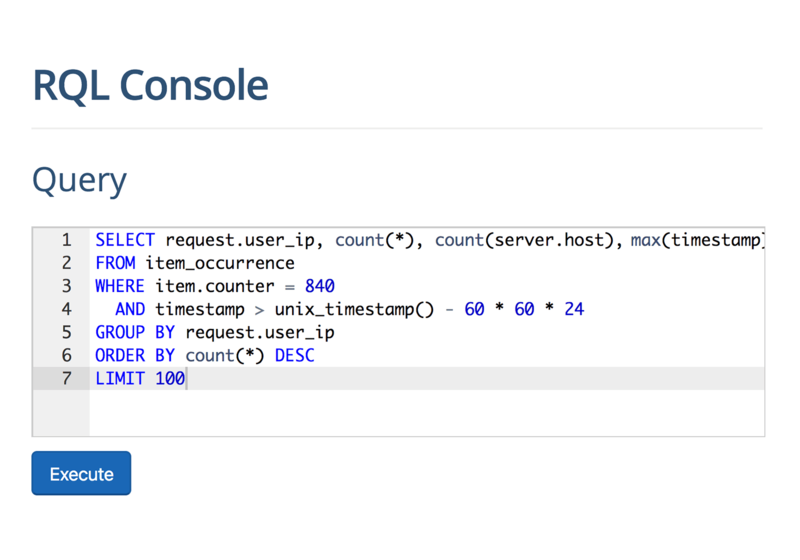 Rollbar offers two powerful data interfaces to support your custom data needs. Rollbar Query Language (RQL) is a SQL-like query interface that you can use to run custom reports to monitor for specific kind of errors, or validate your hypothesis when diagnosing an error. You can use our full-featured REST API to create SDKs for additional programming languages or frameworks, or to export data out of Rollbar to create custom integrations and more. First thing we do when we create a new service is install Rollbar. Without the visibility they provide it would be impossible to operate at our scale.